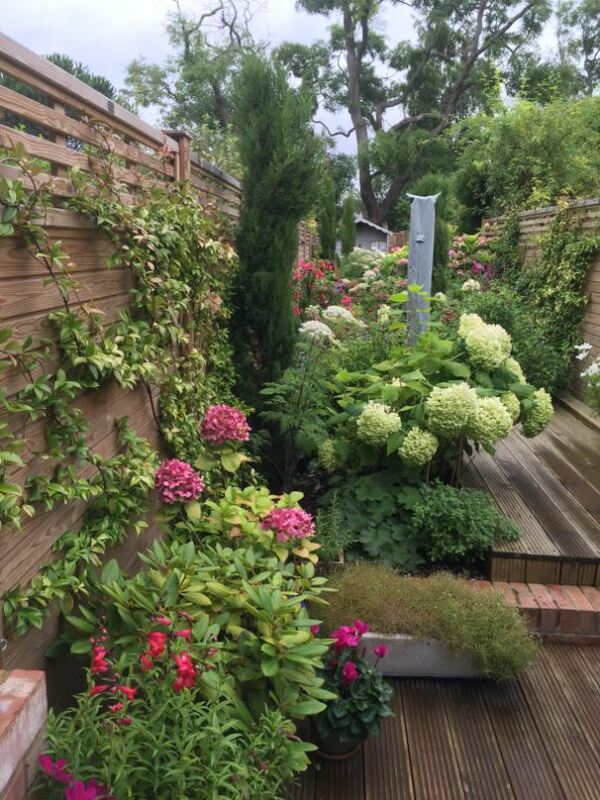 Modern Gardens asked for help solving a tricky space problem for their July mag – and I had designed a garden with a similar problem 1.7m wide x 24m long. I had to find a solution for a garden only 1.7 wide x 24m long. I broke it down into sections of lush low maintenance plants with decking and a private dining area in the middle, hidden from view. In So secret in fact that Modern Gardens didn’t want to use the pictures of the garden in full flower as they couldn’t see it!